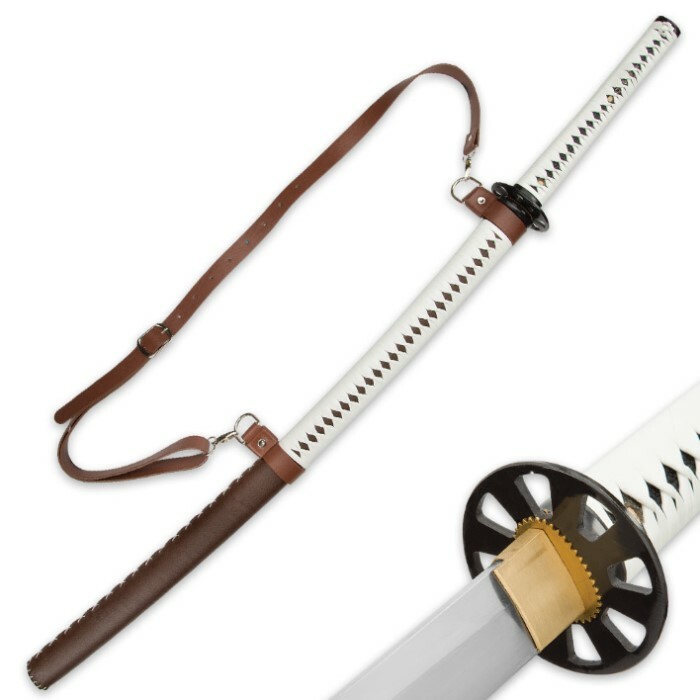 Zombie Slayer Katana Sword And Leather Wrapped Scabbard | BUDK.com - Knives & Swords At The Lowest Prices! Our Zombie Slayer Sword and Sling is a definite must-have for your Zombie Apocalypse armory collection. You won’t have any problem knocking off zombies with the 28 3/4" razor-sharp, high carbon steel blade. 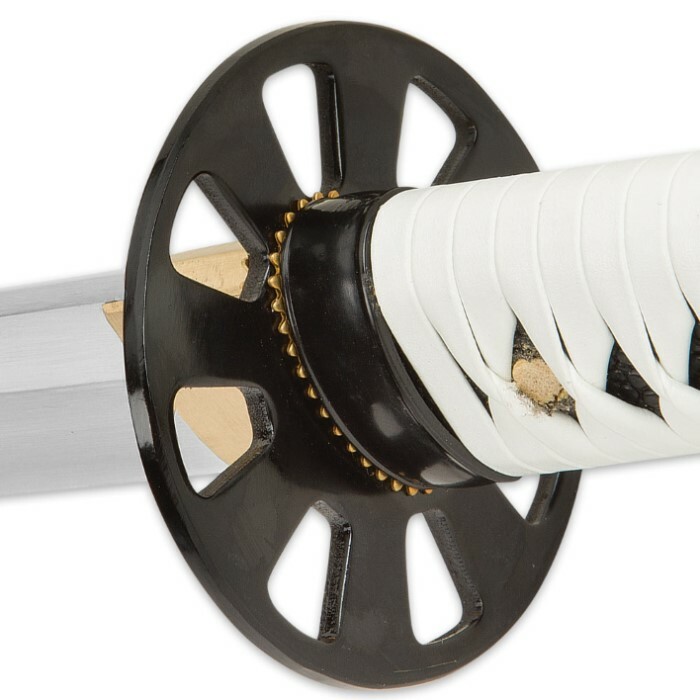 The wooden handle is wrapped in eye-catching, bright white faux leather, which offsets the dark, black metal alloy tsuba. A coordinating faux leather scabbard, complete with a genuine leather shoulder sling with sturdy metal hardware, is included. Sharp, great looking, is like Michonne and a great price. 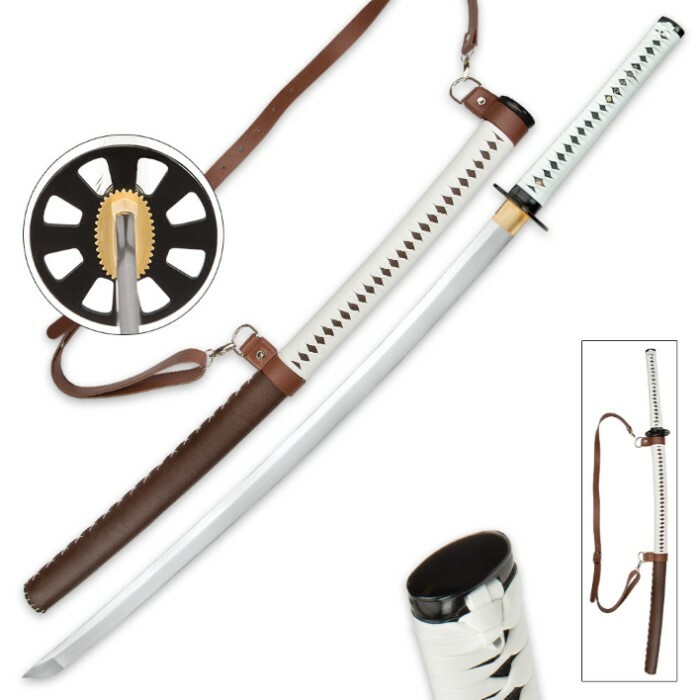 If you are a fan of the series, You will like this sword, less the $ for the officially licensed version. Said sword is FULL TANG and stately built. 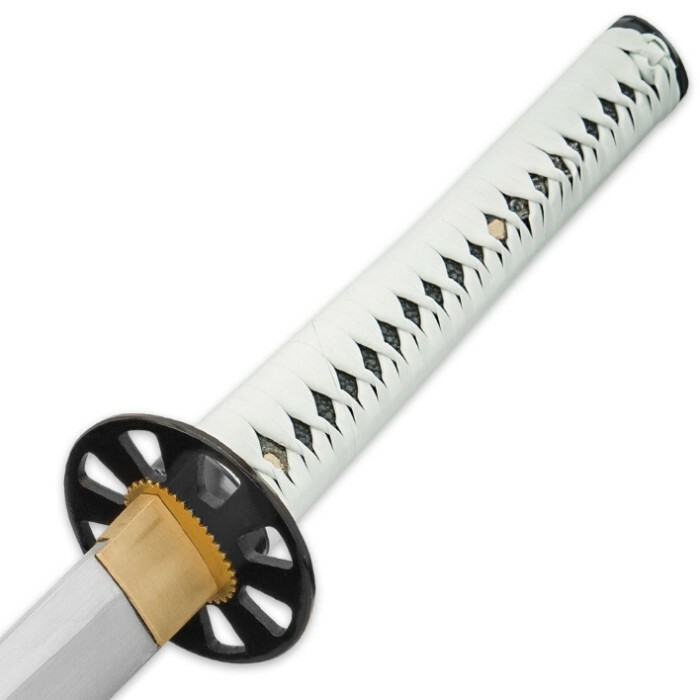 I think this sword is made by Kojiro which makes some really nice blades, along with some sword like objects as well. But fear not, this sword is the real deal, and is beautiful. Buy with confidence! worst case scenario, send it back with a no hassle return policy. This thing is great, looks just like Michonne, but in no way is this thing Razor sharp.